WASHINGTON -- The U.S. economy grew faster than expected in the third quarter as businesses restocked shelves, but a slowdown in consumer and business spending pointed to an underlying weakness. Gross domestic product expanded at a 2.8 percent annual rate, the quickest pace since the third quarter of 2012, the Commerce Department said Thursday. It was an acceleration from a 2.5 percent clip in the second quarter and beat economists' expectations for a 2.0 percent rate. Details of the first estimate of third-quarter GDP were generally weak, with inventories contributing 0.83 percentage point to GDP growth. Excluding inventories, the economy grew at a 2.0 percent rate after expanding at a 2.1 percent pace. Consumer and business spending growth slowed sharply, lending the report a weak tone and validating the Fed's decision to stick to its $85 billion monthly bond-buying program. With near-term growth prospects not that bright, a reduction in the purchases, which aim to keep interest rates low, is not expected this year. Consumer spending, which accounts for more than two-thirds of U.S. economic activity, expanded at a 1.5 percent rate, slowest pace since the second quarter of 2011. It grew at a 1.8 percent rate in the April-June period. Some of the slowdown in consumption is blamed on weak demand for utilities because of unseasonably cool weather in the summer. But households have also been wary of loosening their purse strings as the pace of job gains slowed significantly during the quarter. A separate report from the Labor Department suggested the jobs market continued to gradually improve. Initial claims for state unemployment benefits fell 9,000 to a seasonally adjusted 336,000 last week. Economists polled by Reuters had expected first-time applications to fall to 335,000 last week. An uncertain economic outlook is making businesses cautious about ramping up hiring. They are also holding back on spending on capital goods. Business investment moderated, largely due to spending on equipment, which fell for the first time since the third quarter of 2012. %VIRTUAL-article-sponsoredlinks%Spending on nonresidential structures, including mining and drilling, rose for a second consecutive quarter. 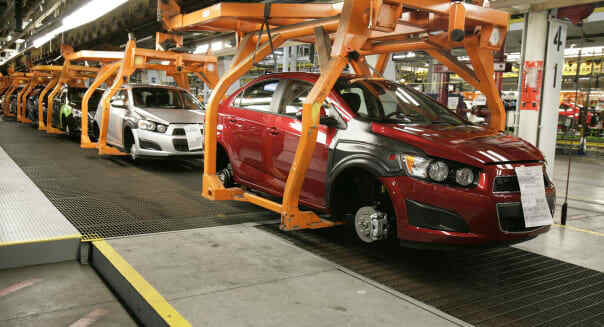 The economy grew at a 1.8 percent rate in the first half of 2013, held back by a tightening in fiscal policy at the start of the year. Growth had been expected to gain speed in the fourth quarter as the drag from fiscal policy lifted. But a 16-day government shutdown in October is expected to weigh on growth over the final three months of the year. Away from inventories, the economy got some support from a slowdown in import growth, which helped to limit the rise in the trade deficit. Trade added 0.31 percentage point to growth in the third quarter. The decline in government spending appeared close to running its course in the third quarter, with sturdy growth in spending by state and local authorities. Government spending grew for the first time in a year, even though federal spending continued to decline. Economists say this fading fiscal drag would have set up the economy on a stronger growth path in the fourth quarter, were it not for the government shutdown. The housing market appeared to weather a spike in mortgage rates, with spending on residential construction increasing strongly. Other details of the GDP report showed some pick-up in inflation during the quarter, but not enough to alter the picture of benign price pressures.